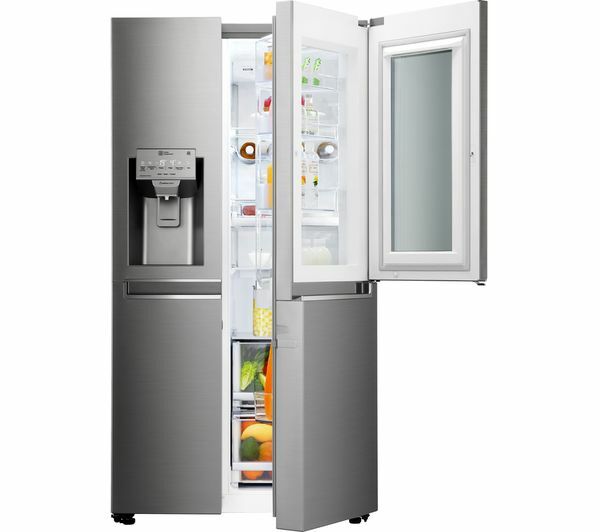 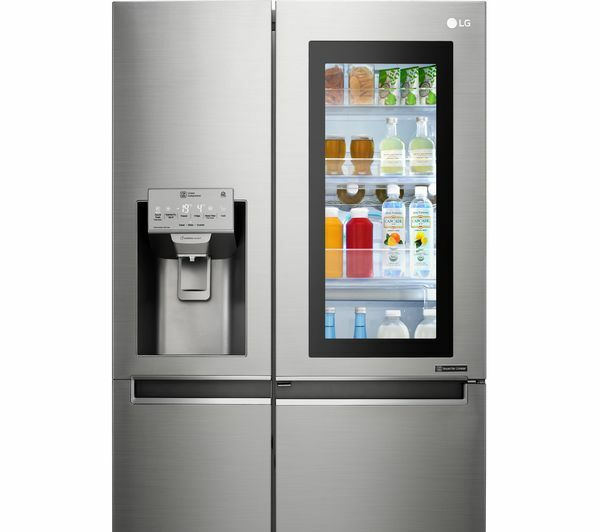 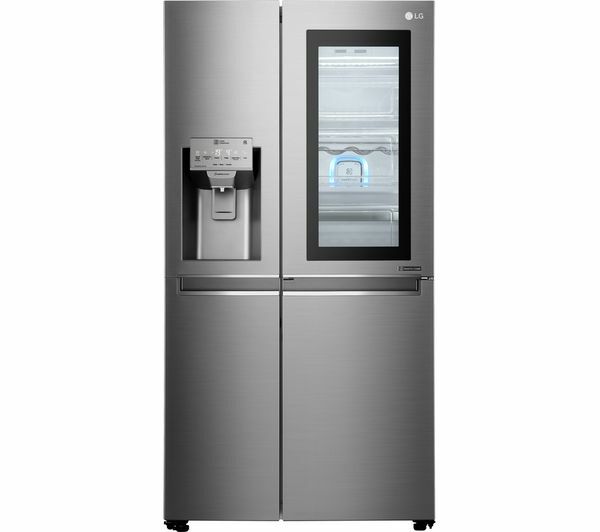 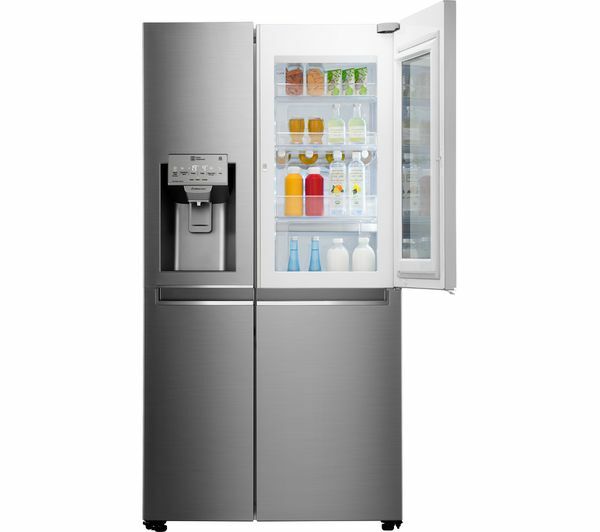 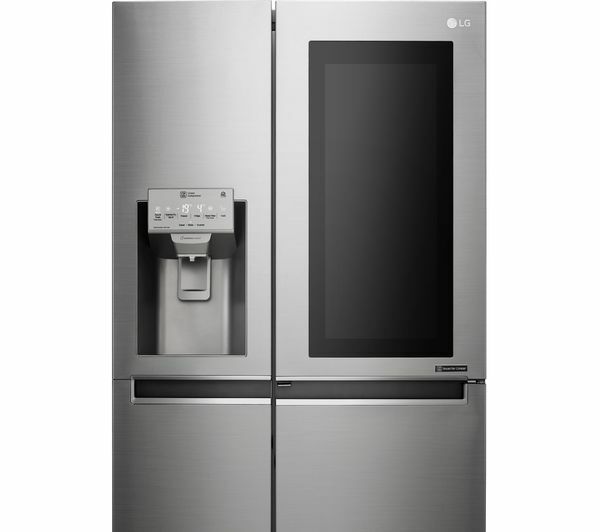 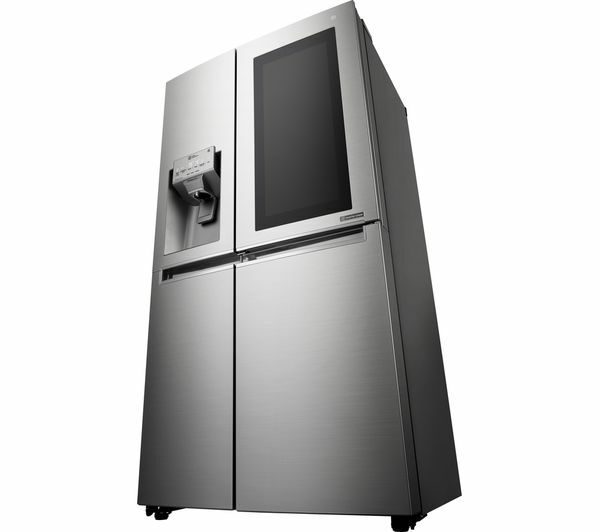 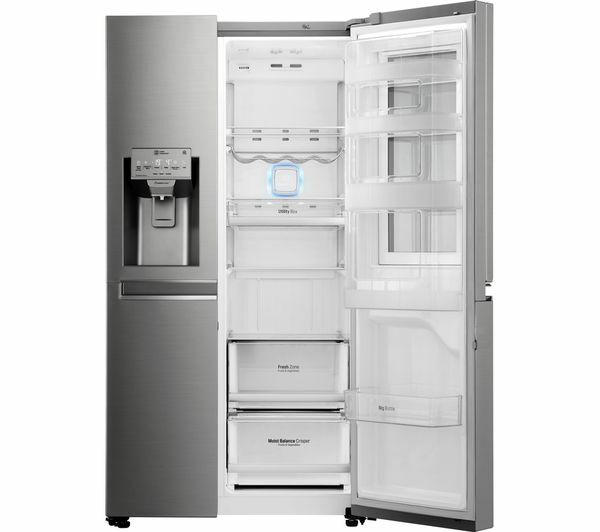 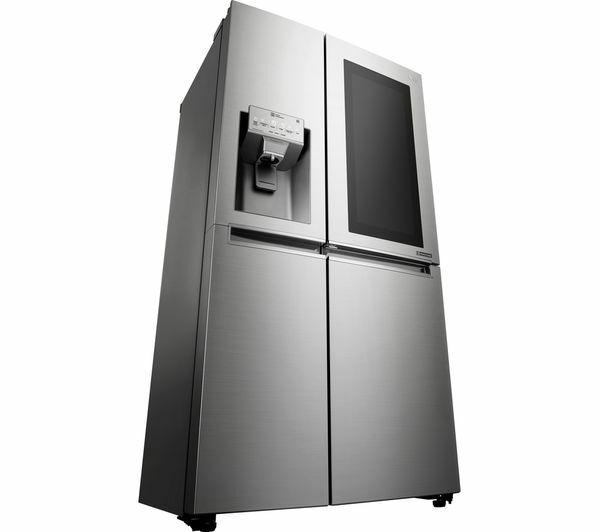 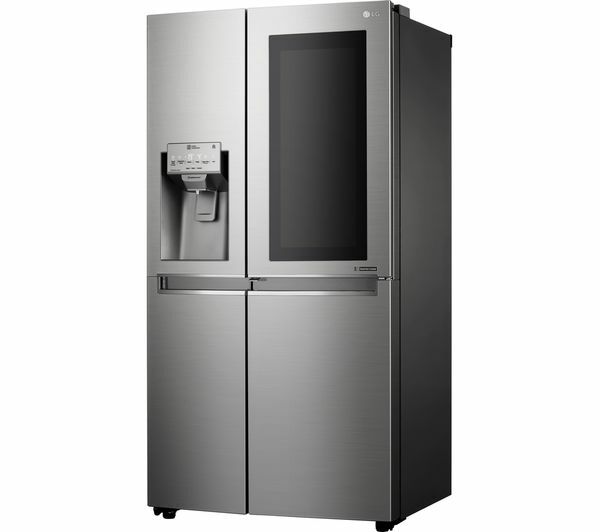 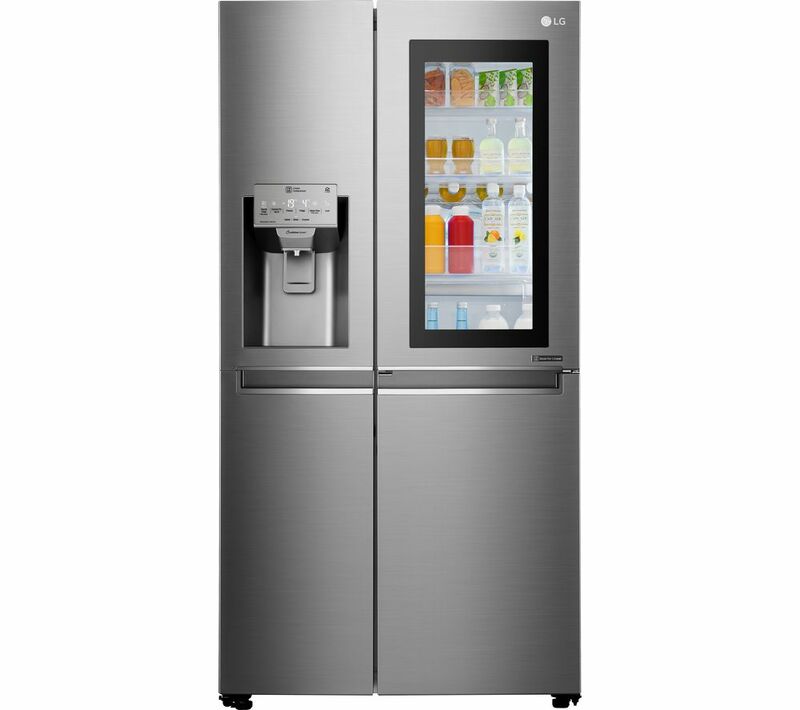 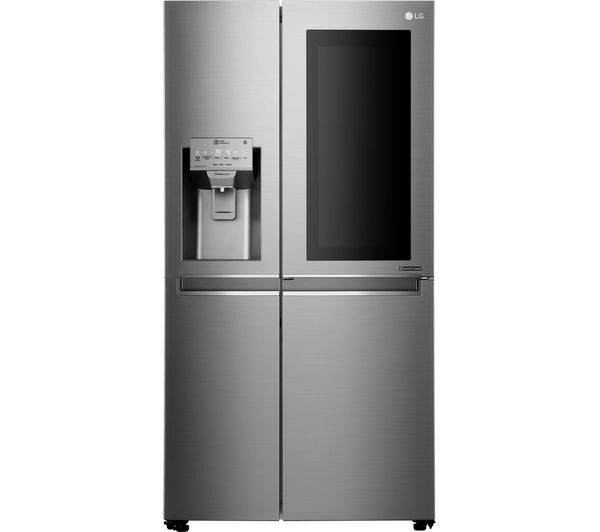 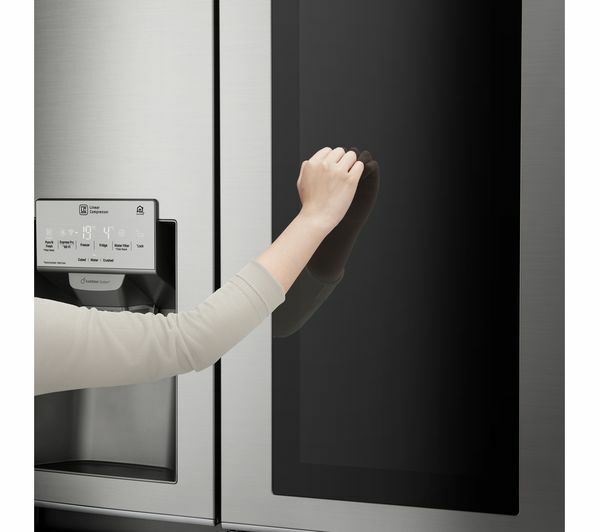 When it comes to keeping your food fresh, the LG Instaview GSX960NSAZ Smart Fridge Freezer doesn't compromise. 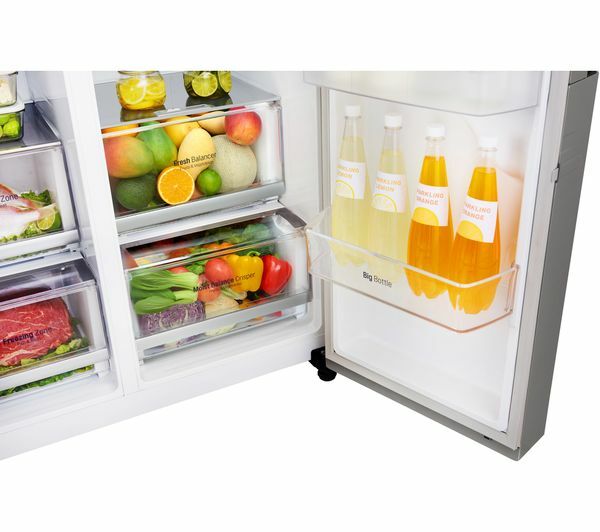 Everything about it is designed to keep your food as fresh as the day you bought it, for longer. 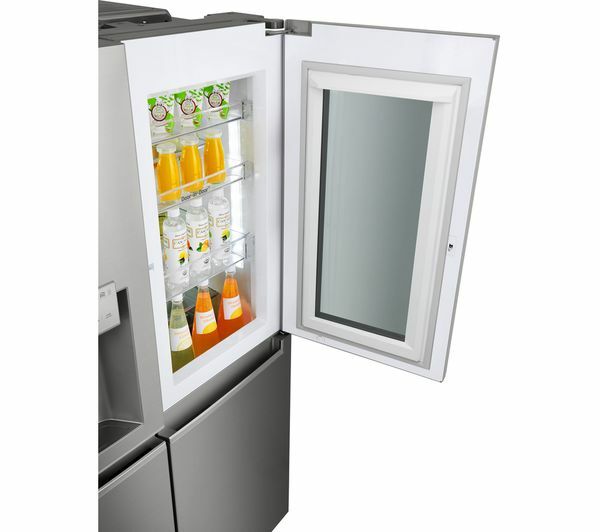 The stand-out feature is its Instaview glass panel door that illuminates with two quick knocks. 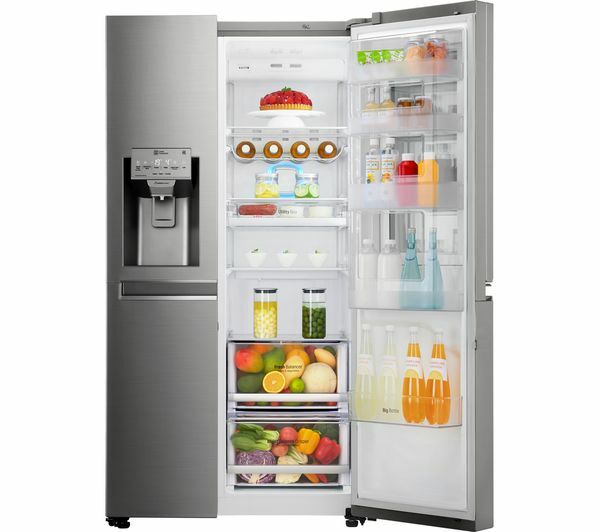 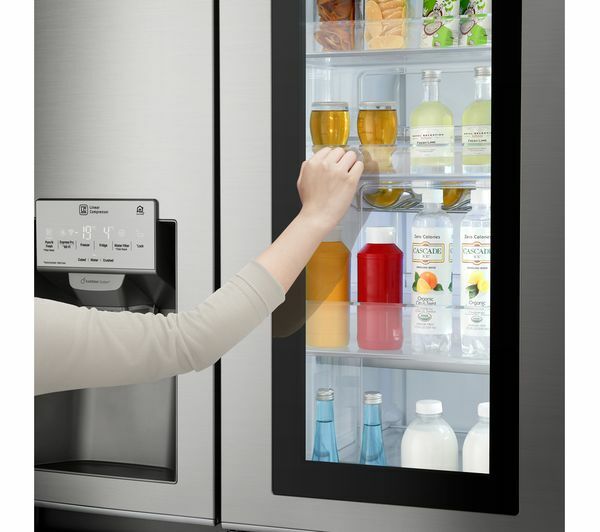 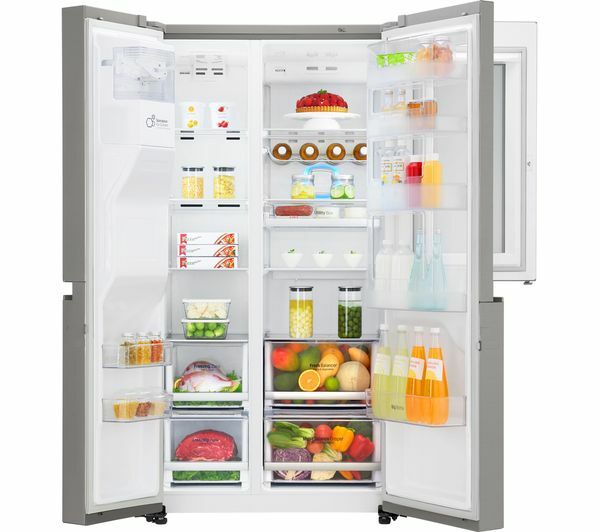 It lets you see what's inside your fridge without you having to open the door. 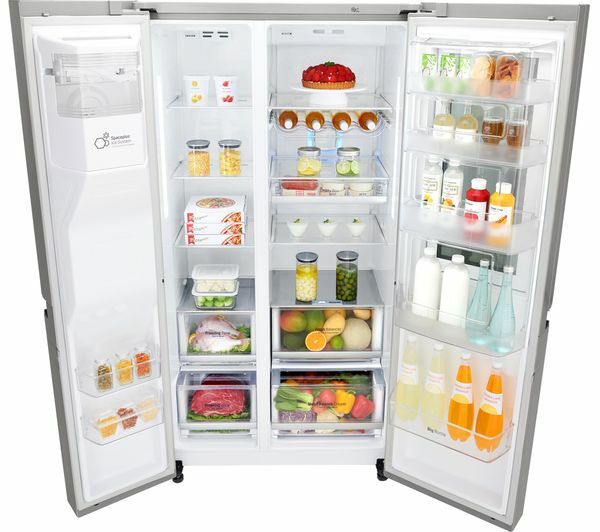 This reduces cold air loss inside your fridge, which means your weekly food shop is likely to stay in perfect condition during the week. 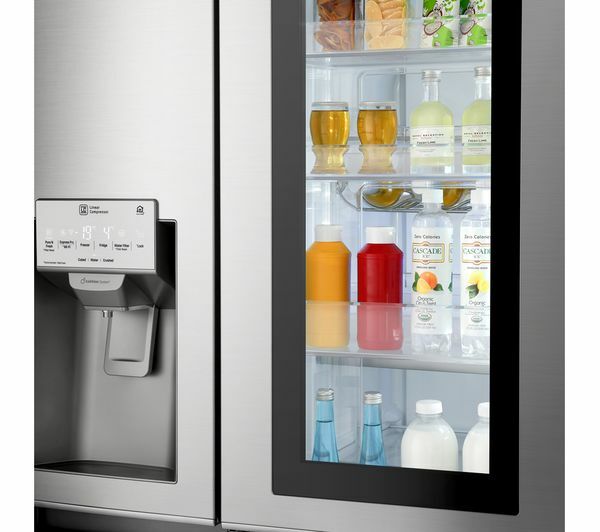 The Instaview GSX960NSAZ has WiFi built in, which means it can connect to your smartphone. 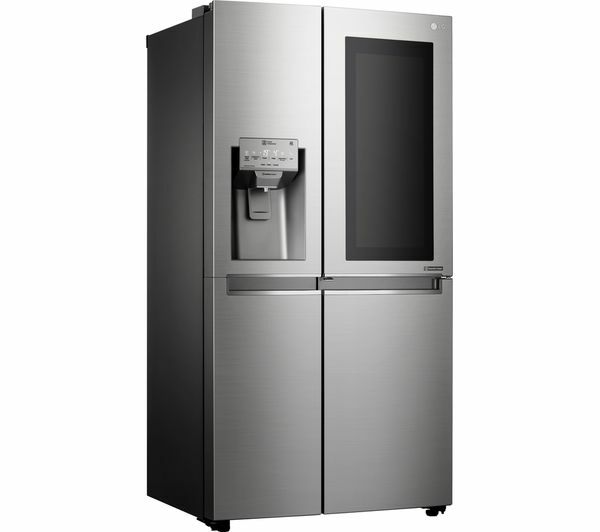 Download the Smart ThinQ app to your smartphone to lower the fridge temperature when the weather gets warm, preventing your chilled ice cream treats from thawing out. 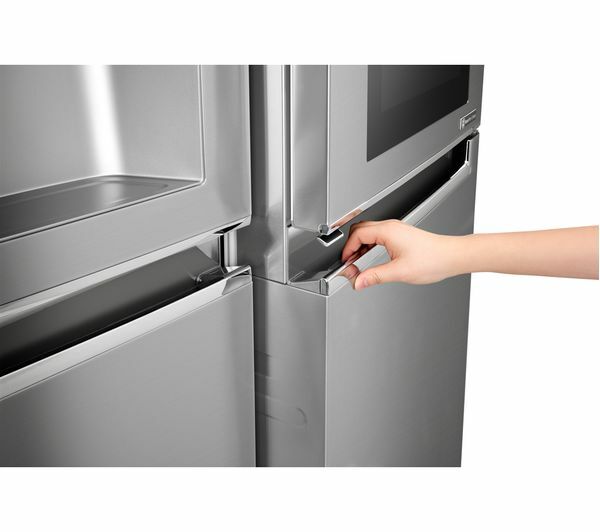 The app will even alert you if you haven't closed the fridge doors properly. 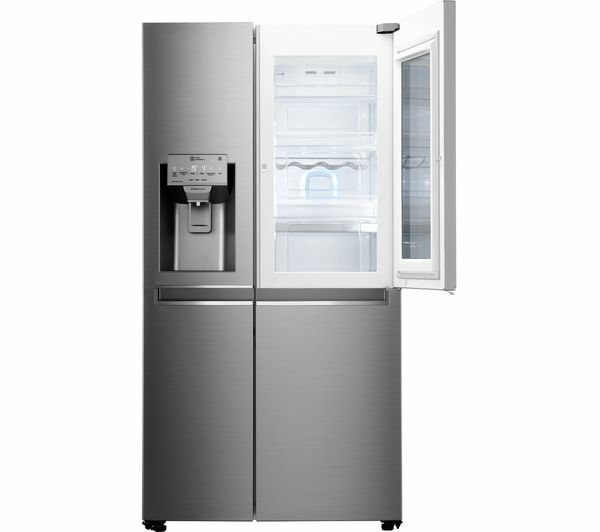 Summer got you in a sweat? 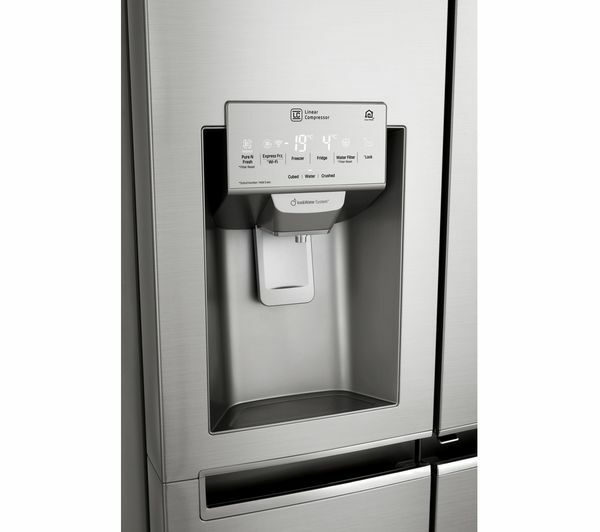 Then get a nice cold hit of water in an instant. 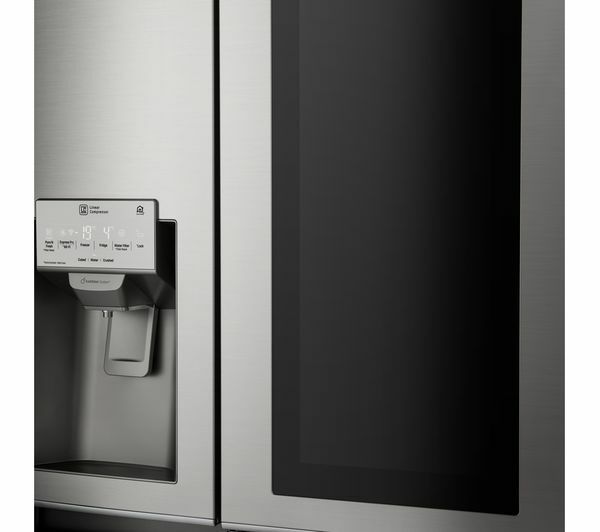 The still water dispenser is plumbed into your mains water supply, so just press the button for a refreshing beverage. 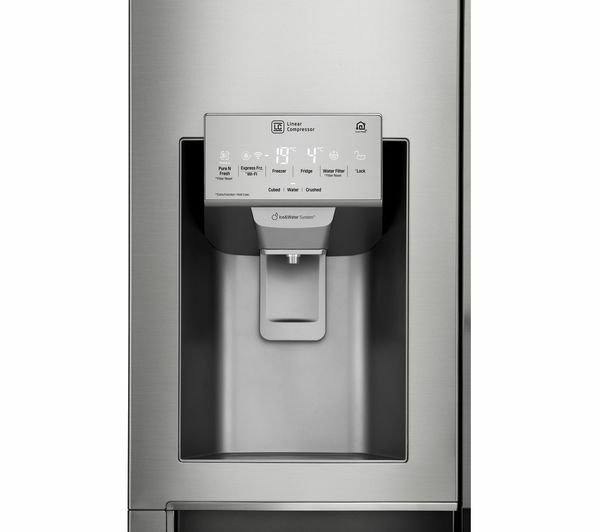 Top it off with cubed or crushed ice from the dispenser. 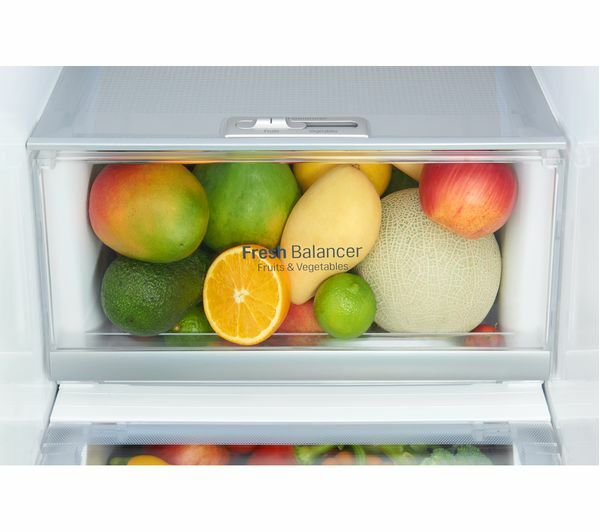 The FRESHBalancer salad compartment keeps your fruit and veg in perfect condition by letting you adjust the humidity level. 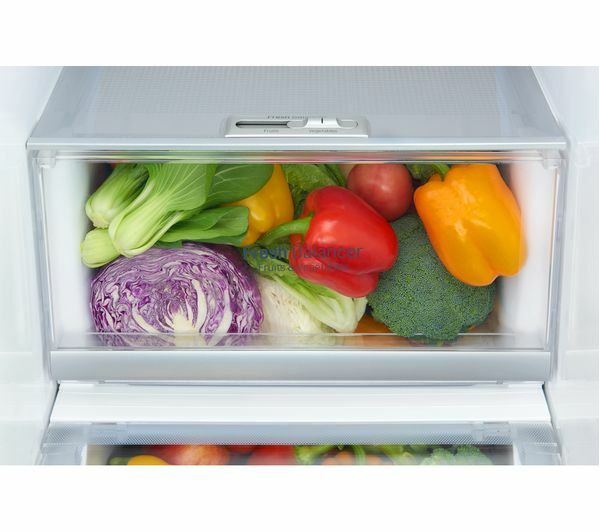 A Moist Balance Crisper makes sure the moisture of your greens is kept at the optimal level - your homemade salads will never taste fresher. 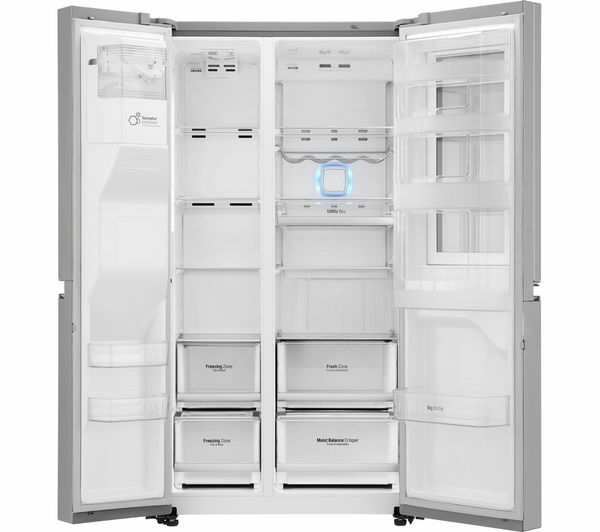 The Instaview GSX960NSAZ may be extra spacious, and roomy enough for a family-sized shop, but it's still energy efficient. 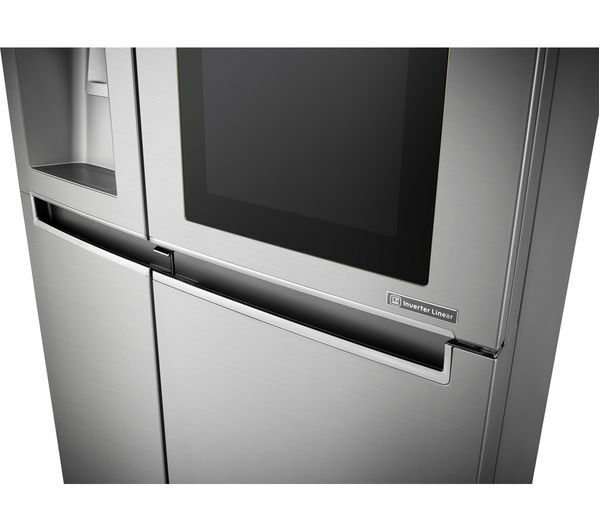 In fact it has an A++ energy rating, which means it's one of the most energy efficient appliances around. 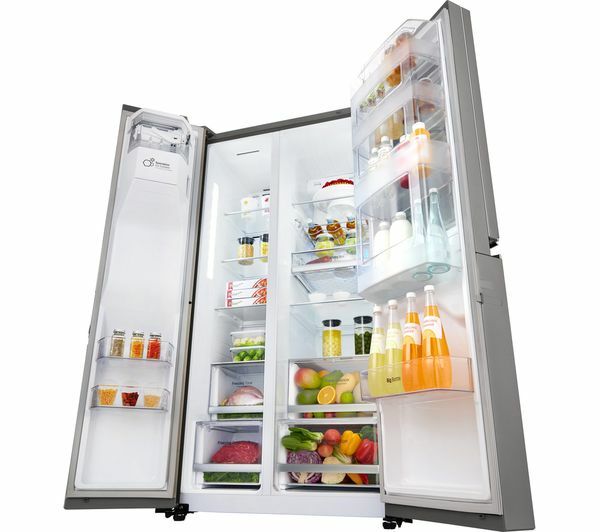 It'll help you lower your own carbon footprint, and will contribute towards lower energy bills.